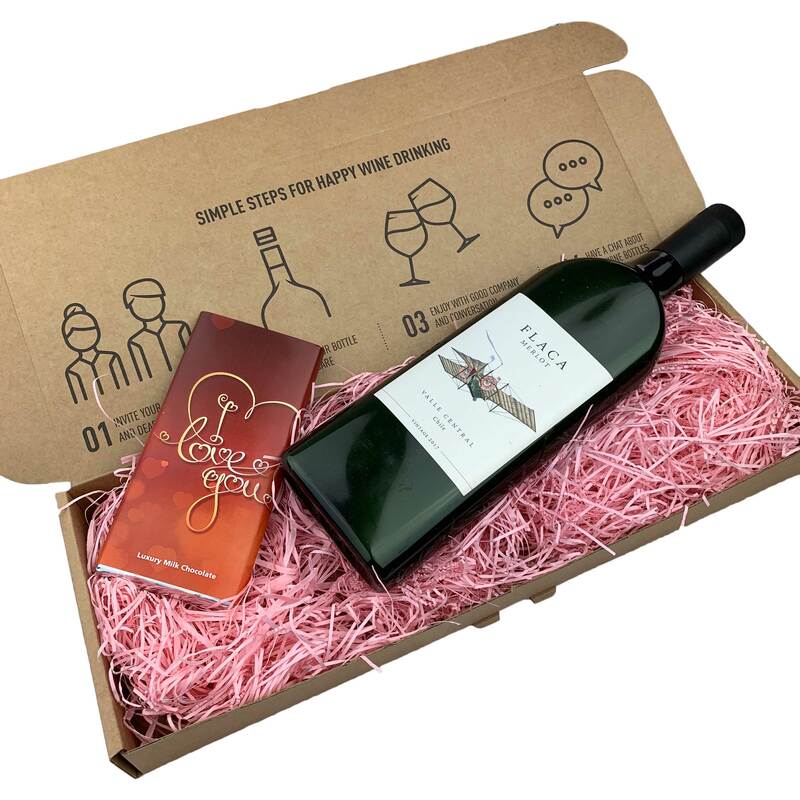 Mothers Day Flaca Merlot Chilean and I Love You Chocolates Letterbox Wine gift is very clever. Have you ever imagined a full size 75cl bottle of wine fitting through your letterbox? No - well now it does. What about the wine? Bright ruby colour with violet tones. Aromas of red fruits; strawberry, raspberry & cherry. Fresh and fruity with a full body and a soft, balanced acidity. Good on its own and lovely with a nice bit of cheese!